The videos on this page go in the order I made them (oldest on top, newest on bottom). If you would like to see them in the opposite direction (newest on top, oldest on bottom) click here. 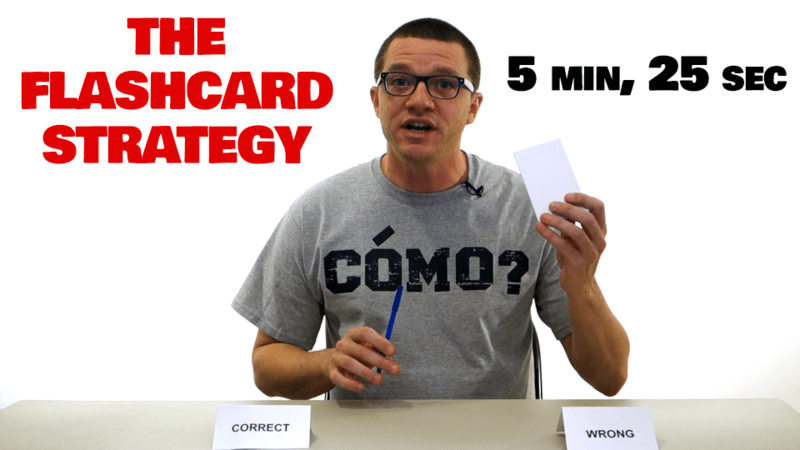 Ahhh, The Flashcard Strategy… this one is near and dear to my heart. Anybody that knows my story knows I have a deep affection for making flashcards to memorize words. But you shouldn’t just throw the words on the cards and jump in randomly and haphazardly. Oh no. “To be or not to be? That is the question.” I know very few lines from Shakespeare. But it’s no surprise to me that one of the few I do know, contains the verb “to be” twice. You see, I consider “to be” to be the mother of all verbs. I’d bet a lot of money that “to be” is the most frequently used verb in English and in Spanish. Anytime you say “is” “am” “are” “was” or “were”, you’re actually saying a conjugated form of “to be”. But here’s the thing. In Spanish, they have two different “to be’s”. One of the most beautiful parts of learning Spanish when you already know English is, so many words are essentially exactly the same. In this lesson, I use pause, liquor and bank as three examples of this. “Pausa”, “licor” and “banco” respectively. But there are treacherous enemies about. False friends. These are words that look like an English word but either mean something completely different or are used in totally different situations. 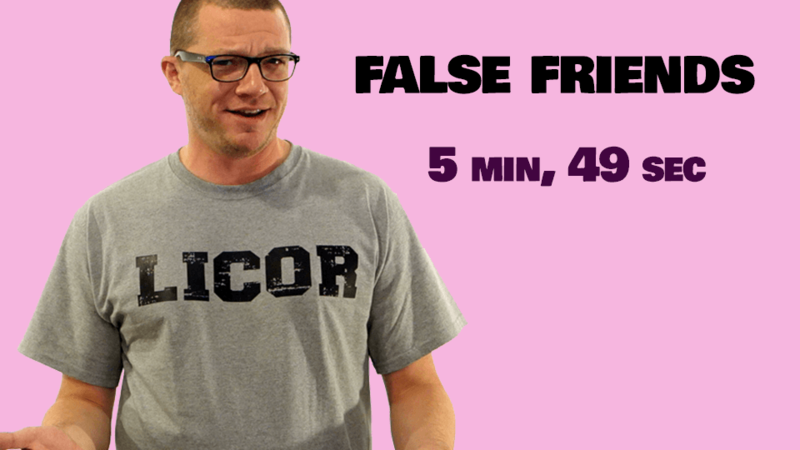 In this video lesson, I share two of my most memorable stores–and two of my favorite false friends. 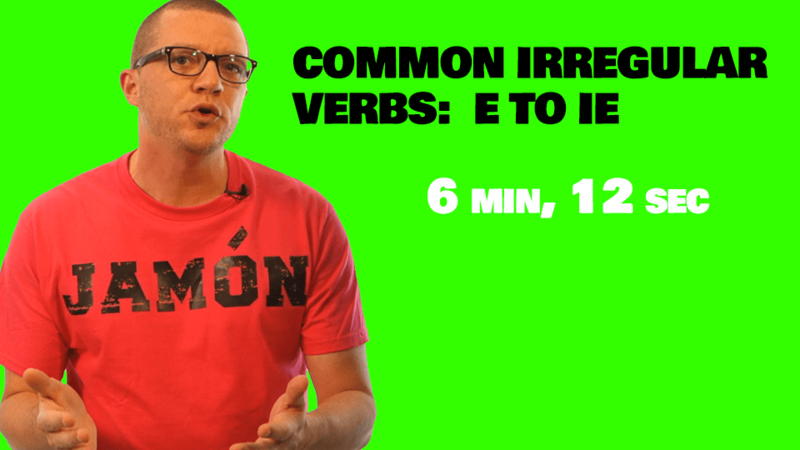 In today’s video, we continue with the verbs. 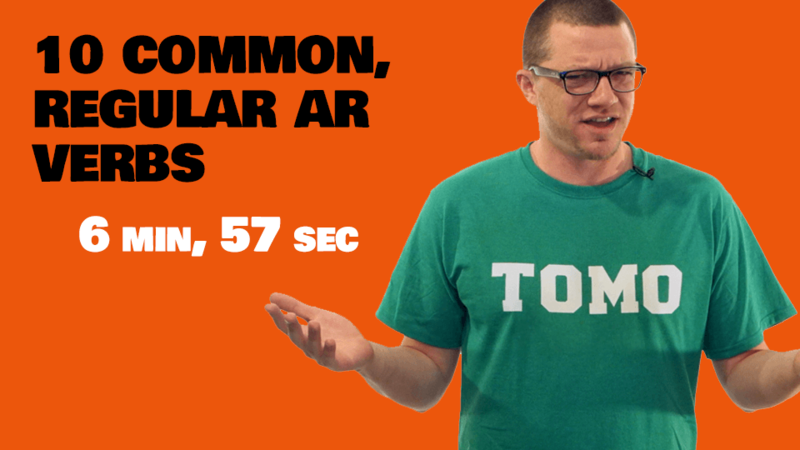 This time, ten of the most common, regular ER verbs. Trying something new today. I’m a little out of my element here. You’ve heard of a tortilla right? 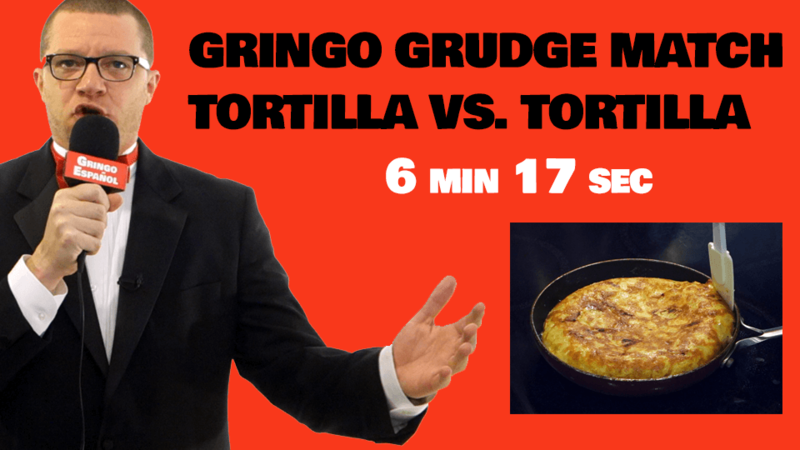 Well, in Spain, they have tortilla too–it’s just totally, 100% DIFFERENT. Not only will you learn a few important words in this video, you’ll also see exactly how I prepare one of my favorite foods from Spain. And I might sing and dance a little at the end too. CRAZY! 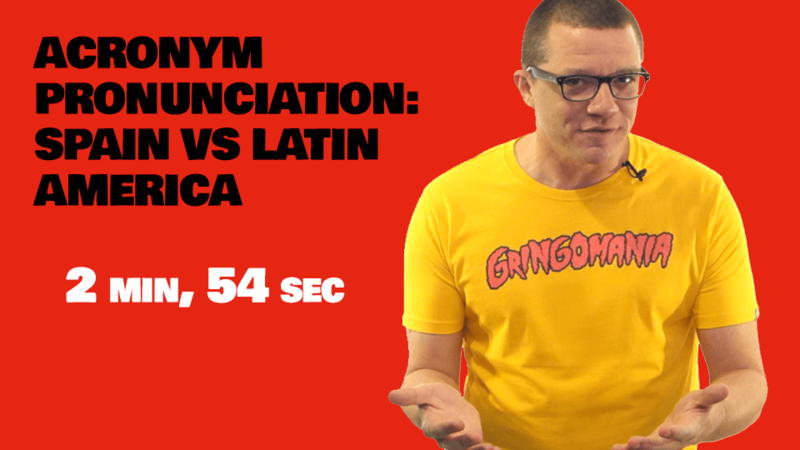 Since I started studying Spanish over 10 years ago, I’ve always told people: “Whenever you don’t know a word in Spanish, just take the English word and Spanishify it!” But over the last couple weeks, as I made the three “Fun with…” videos… I was still shocked by just how many words there are that are essentially the same. 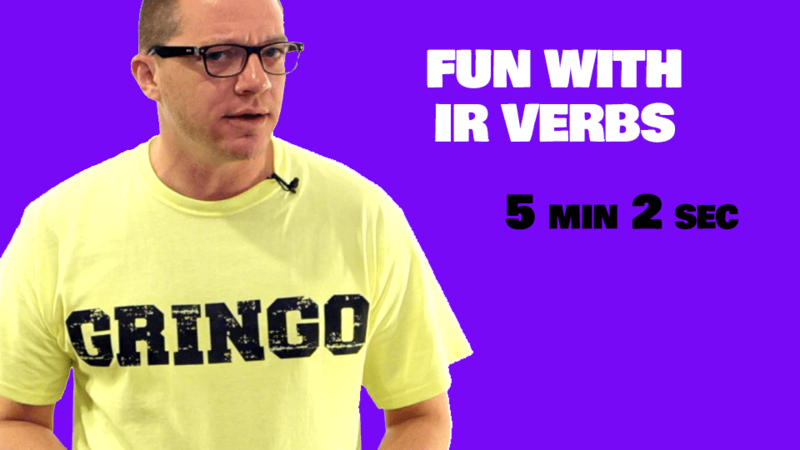 Today, I just picked the 10 regular IR verbs I thought would be most helpful to you. Little did I know that 7 out of the 10 would be friends! That’s cool, when a word is the same in Spanish, it sure makes it easier to remember. Duh. I went back to Spain recently for the first time in over 10 years. I was chatting with my buddy Manuel, and he said something quickly that sounded like gobbly gook. I had acclimated myself to the Latin American way of talking. There are differences. That’s one of the reasons I didn’t understand Manuel in Spain. And of course, what he was talking about–it didn’t even exist 10 years ago! 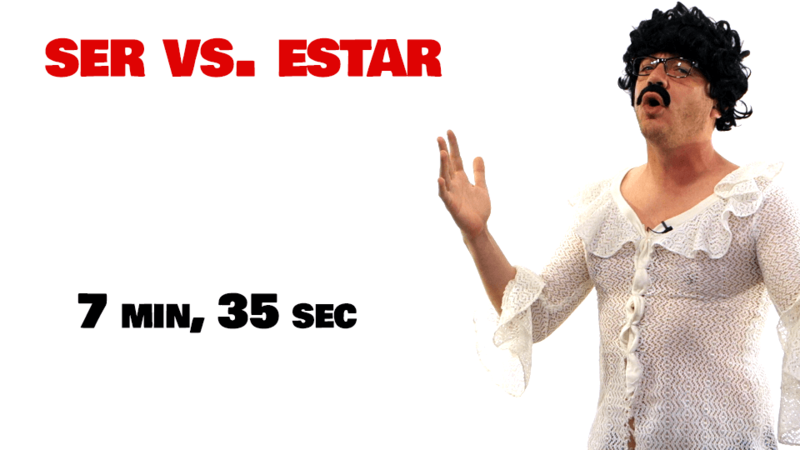 As you now know, there are three types of verbs in Spanish: AR, ER and IR. And each type has it’s own conjugation rules–how you change the endings of the words. “Hablar” is to “talk”, but I talk is “hablo”. However, there are also irregular verbs–where not only do you change the ending based on the subject, but there’s a change to the stem too. Lots of the most common verbs in Spanish are irregular and I’m sick of avoiding them in my examples. So today, we’re gonna talk about the first kind: E to IE. Copyright © The Spanish Dude. All Rights Reserved.